Spreading the word on sustainability. 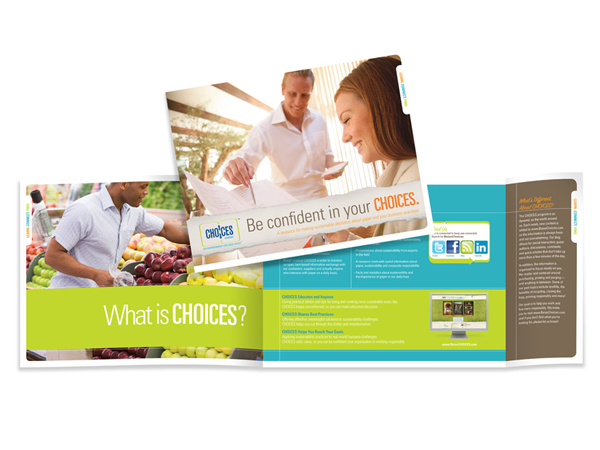 Boise’s sustainability program, Choices, was created as a forum for educating customers about environmentally friendly choices. Distributed by the sales team to launch the program, this brochure successfully piqued reader interest and drove traffic to the website.